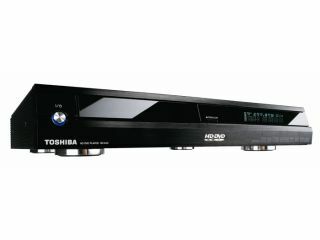 Anyone who thought Toshiba got off lightly in terms of face saved and avoiding throwing good money after bad when it pulled the plug on its HD DVD business last month will probably want to think again when looking at the scale of the financial loss it caused. Rock-solid rumours coming from Japan say that the Tokyo firm is set to warn investors that it will write off a loss of ¥100 billion, or almost half a billion pounds, on HD DVD this financial year. Toshiba still expects full-year profits of ¥250 billion (£1.2 billion). But the fact that it's a public company with shareholders expecting far better numbers makes the larger-than-forecast HD DVD loss significant. Thursday trading in Tokyo currently has Toshiba stock down almost 3 per cent compared to yesterday. The company had expected to lose ¥50 billion on HD DVD this year even if it had stayed in the market.